Prior to hearing this disc I had seen some discussion on a newsgroup that complained that Deadwood Forest sounds too much like Anglagard (Swedish band that took the prog world by storm in the early 90's). While it's true that the album is produced by Anglagard drummer Mattias Ollson, and further true that there are some blatantly Anglagard sounding segments, this analogy is a bit simplistic. From Austin, TX, Deadwood Forest claim influences ranging from such classic progressive groups as King Crimson, The Moody Blues, Genesis, and Pink Floyd. And throughout this disc all of these, plus Yes, are apparent at various points. The band consists of Ryan Guidry on guitar and vocals, Andy McWilliams on drums, Kurt Coburn on bass, and Mitch Mignano on keyboards. Mellodramatic is their first album. The music on Mellodramatic is difficult to describe without running a gamut of influences. For example, "The Pioneer" opens with a classic mellotron sound, but quickly settles into a groove that has elements of 60's folk-psych. But that too doesn't last long either as we soon hear shades of Genesis, early King Crimson, and Anglagard. Yet nothing lasts long as the music evolves, quite smoothly, through multiple rhythmic and instrumental moods and themes. "OCD" and "King Of Skies" blend together like a single track that opens with a dark and moody instrumental segment. When the song kicks in it has a Yes feel due to the vocal style and the rhythms, but there's also an orchestral mellotron sound and lots of acoustic guitars that retain the dark mood of the intro. But wait... now we shift into a happy bouncy section that briefly sounds like Jethro Tull. There's even some brief, but very cool fuzzy wah'd guitar which I would have liked to hear more of. That would have broken things up a bit and added a little kick to a lot of the standard classic prog sounds that are Deadwood Forest's trademark. My two favorite tracks are "The City In The Sea" and "The Ultraviolence". "The City In The Sea" has a nice majestic flowing acoustic passage that soon launches into a Yes-styled pattern similar to "King Of Skies". This is a solid instrumental tune that concentrates on developing a limited theme more than the previous tracks, and does an excellent job of doing so. "The Ultraviolence" is similar, featuring rapid keyboard lines and a pounding rhythm section. 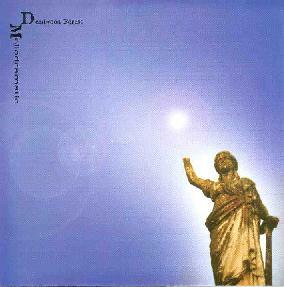 Intense moments alternate with dark driving King Crimson styled passages that 90's bands like Anekdoten play. But there's also a heavy organ in the background that really adds meat to the music. The song reaches frenzied heights of intensity and there's a brief guitar freakout passage that grabbed me by the throat. But, alas, this too quickly shifted into something mellower, though the intensity level doesn't drop just because the pace does. Deadwood Forest incorporate so many classic progressive influences that, even though I liked the disc from the first listen, I suspected it might be a little uneven and lack coherence. I think a lot of proggies will think feel that way, and certainly my descriptions of the songs would seem to state that case. But the band handles it all with grace and the disc works for me, although my favorites did tend to be those that developed a limited number of themes. Still, while there may be nothing at all original here, those who pine away for the sounds of yesterday will likely enjoy Deadwood Forest's presentation of 90's styled classic progressive rock. For more information you can visit the Shroom Productions web site.